This pot is very colorful. 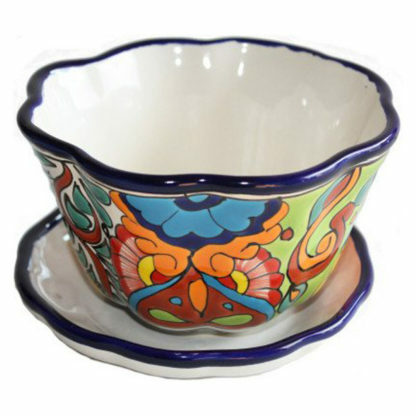 Talavera Ceramic pots have a drilled hole at the bottom; this enable them to be used as a planter. It has a base where water can be held. It will also prevent leaks when the plant is watered.